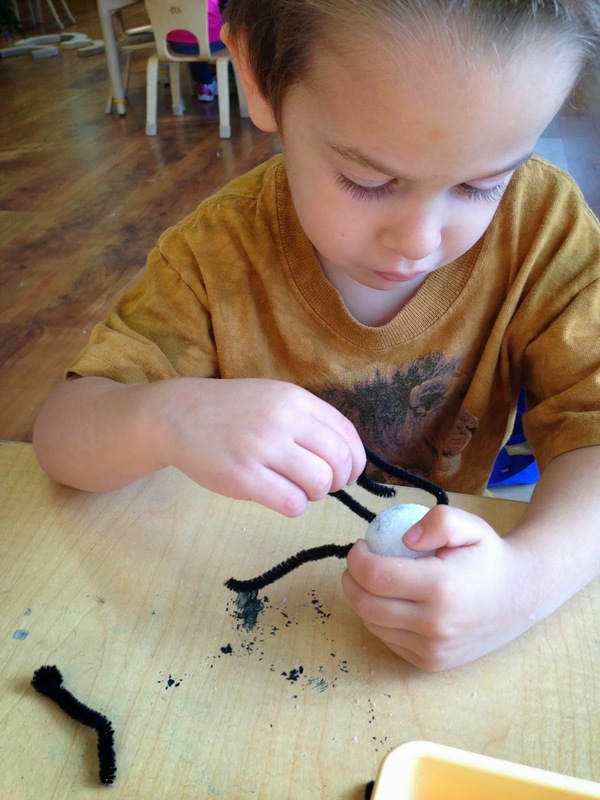 We compared spiders and insects and discovered that spiders are not insects. 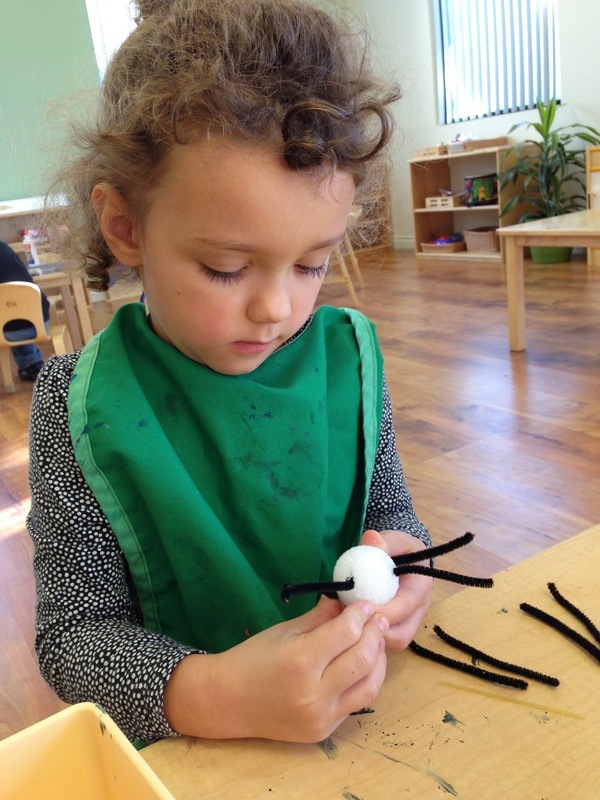 Morah Katie: Look at this spider, look at this dragonfly, what is different? Morah Katie: Do dragonflies spin webs? Morah Katie: Do spiders have wings? Sroli: Spider has 8 legs. Abigail: Bug has 6 legs. Scout: Spiders have 2 body parts. Morah Katie: How many body parts does the dragonfly have? 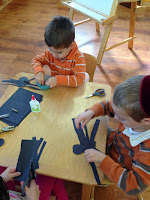 Our spider crafts helped teach us that spiders have 2 body parts, 8 legs and 8 eyes. Morah Katie: What body part will we find a spider's silk gland on? Morah Katie: Do all spiders spin webs? Morah Katie: Where do spiders live? Morah Amanda: Is spinning a web easy or hard? Ella: Yes, it is hard to spin a web.